IntelliCAD's BIM technology keeps growing with each IntelliCAD release. IntelliCAD 9.1, released in March 2019, includes the ability to attach version 2019 RVT/RFA format files from Autodesk® Revit® and draw more AEC entities such as stairs, railings, and steel (in addition to the existing ability to draw walls, doors, windows, and slabs). As with previous versions of IntelliCAD that work with BIM files, you can attach and import RVT/RFA format files and IFC (Industry Foundation Classes) format files. IntelliCAD's BIM features are developed within a Special Interest Group (SIG) made up of ITC members who want to specifically advance IntelliCAD's BIM functionality. The BIM SIG works the same way as ITC's Mobile, DGN, and User Interface SIGs — just another way that ITC tailors its services to what their members need. To learn more about the BIM Special Interest Group, see our website. To learn more about the IntelliCAD 9.1 release, see the press release. Portland, OR, USA — The IntelliCAD Technology Consortium (ITC) today announced the release of IntelliCAD 9.1. IntelliCAD 9.1 is a major release that includes many new features and improvements. One of the new major capabilities is attaching digital signatures to .dwg files and validating them. Another is the new Block Editor that makes it easier to create and edit blocks. One more is creating palettes that contain blocks, similar to using a stencil for easily adding shapes to a drawing. There is also a new type of selection grip for users working with schematic drawings where precise scale or sizing is not required. More IntelliCAD 9.1 features include: print and publish drawings directly to PDF, click keywords at the command prompt, use a Start Page when the program launches, single-click to hide many user interface items at once and increase the drawing area, synchronize viewports, convert to mesh, convert to surface, show and hide edges of three-dimensional entities, view and edit system variables in the new System Variables Manager, and much more. For versions of IntelliCAD that work with BIM files, attach version 2019 .rvt/.rfa files and draw more AEC entities such as stairs, railings, and steel. For versions of IntelliCAD that open, save, and edit .dgn files in their native format, users can now work with solids, hatches, aligned dimensions, fill mode, and more. IntelliCAD 9.1 is supported on Microsoft® Windows® 10, Windows 8, Windows 7, and Windows Vista®, including 32-bit and 64-bit versions. IntelliCAD Mobile Viewer versions are available for Windows desktop, Google Android, Apple macOS and iOS. Interested IntelliCAD users can contact ITC members to receive details about availability of IntelliCAD software. Companies interested in more details about IntelliCAD and membership in the ITC should contact the ITC directly. For more information about IntelliCAD and the ITC, including case studies, please visit http://www.intellicad.org/. The IntelliCAD Technology Consortium is an independent, non-profit organization funded and directed by its members specifically for the development of the IntelliCAD technology. The IntelliCAD Technology Consortium licenses the IntelliCAD technology to its commercial members, who in turn market and sell applications based on IntelliCAD to their end users. Commercial members have access to the IntelliCAD source code, documentation, developer support, and more. The ITC is also a founding member of the Open Design Alliance, thereby contributing to interoperability in the engineering industry. For additional ITC news and information, visit the company web site (http://www.intellicad.org/) or call 1-503-293-7655. ArCADiasoft is celebrating 20 years of creating construction applications that range from structural design to interior and installation design to energy performance of building calculations to building surroundings design. Over the years they have produced more than 100 products for architects and engineers. ArCADiasoft is a member of the ITC and their flagship product, ArCADia BIM, is based on the IntelliCAD engine. Congrats to ArCADiasoft on achieving the 20-year milestone! CMS IntelliCAD 9.0 includes support for working with BIM .ifc and .rvt/.rfa files, viewing mechanical entities, drawing construction lines, resetting and re-associating dimensions, and more. 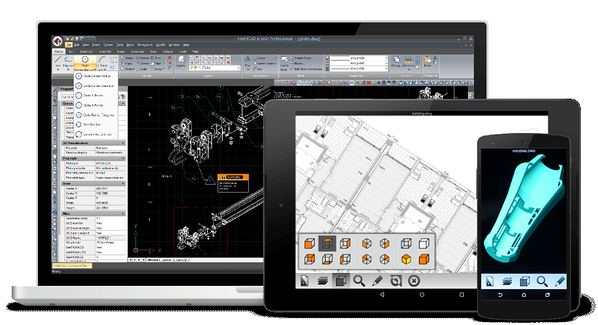 CMS IntelliCAD 9.0 Premium Edition is a major release from ITC member CAD-Manufacturing Solutions. It is based on the IntelliCAD engine. To learn more about CMS IntelliCAD 9.0, see the CMS news. To learn more about how CMS benefits from ITC membership, see the ITC website. IntelliCAD has always — since its first release twenty years ago — been based on technology that is now governed and advanced by the Open Design Alliance (ODA). In the beginning the focus was on .dwg, but over the years, both technologies have seemed to outgrow their initial aim on replicating the .dwg file format (ODA) and replicating its end-user capabilities (ITC). This point was not necessarily highlighted in Prague, but the link between ITC and ODA technology was mentioned throughout the conference with the nonchalant transparency that is commonplace among the IntelliCAD community. IntelliCAD — Uses the latest ODA libraries. 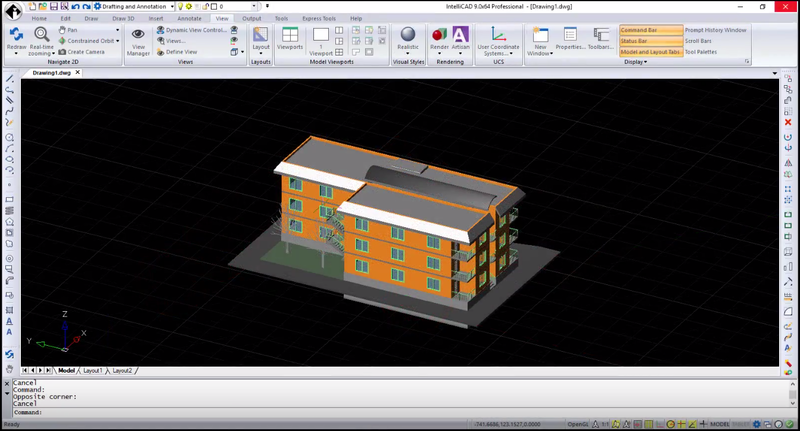 BIM — Attach Autodesk® Revit® files as underlays, based on the ODA BIM component. Mobile — Based on ODA libraries. Walls, windows, doors, slabs — Draw and edit architectural entities (new in IntelliCAD 9), based on the ODA Architecture component. Smart meshes — Draw and edit lightweight 3D meshes (new in IntelliCAD 9), based on the ODA Facet Modeler. Custom objects — Work with custom architecture, civil, and mechanical objects, based on ODA Architecture, Civil, and Mechanical components. 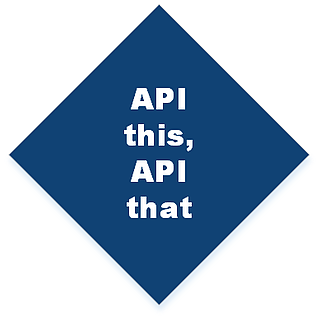 The ITC employs many components of ODA technology (including ODA source code), then customizes that technology according to the needs of their members. And that's exactly what ITC members do: they employ many components of ITC technology (including ITC source code), then customize that technology according to the needs of their end-users. It's a consistent business model from start to finish. One big change in the last twenty years since IntelliCAD was first released is use of Building Information Modeling (BIM) drawings, which usually contain 3D models of buildings that can be used for visualization, design, analysis, and to generate building construction documents. RVT/RFA format — Drawing and family files from Autodesk® Revit®. Attach these files as underlays in IntelliCAD, then control visibility of floors and categories, snap to entities, and explode the underlay into primitives and meshes. IFC format — Drawing files in the IFC (Industry Foundation Classes) format. Attach these files as underlays too, or import them in IntelliCAD to retain entities and convert construction and architectural entities to AEC entities. There was a lot of talk about BIM at the conference. Some ITC members are attaching BIM underlays, exploding them, then retracing primitives to get walls and other building elements as data for their custom applications. More members are interested in the BIM Special Interest Group, and with more collaboration, development will advance at a faster pace. Members want access to BIM files, and like all things IntelliCAD, members drive the development direction. Interested in green building and design? Take a look at AECbytes Magazine for a case study of using 4M FINEGreen. FINEGreen combines BIM power with the user friendliness of a 3D building interface and the reliability and accuracy of the EnergyPlus calculation engine. IntelliCAD has turned up again — this time interfacing with Australia's benchmark software for house energy ratings. 4M is a member of the ITC and develops, among other products, Fine4Rate. Fine4Rate is a BIM graphical interface to energy rating engines and is based on the IntelliCAD engine. 4M Australia customized Fine4Rate to interface with the NatHERS thermal comfort modeling environment to support energy assessors who are users of the AccuRate Sustainability Software. Training announced at Education in Building. Check out 4M Fine4Rate for more product details. Check out the success story for details about how 4M benefits from and uses the IntelliCAD engine in their BIM technologies. 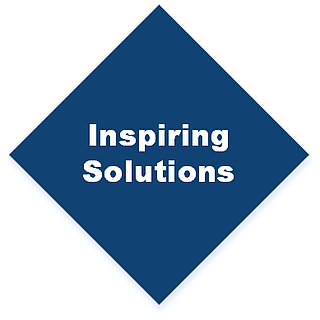 Entrepreneurial solutions from entrepreneurs. It was the morning of the last day at IntelliCAD World when four ITC members presented their IntelliCAD solutions and highlights of why they were members of the consortium. Carlson Software has been in the CAD business since the 80s and delivers products in the civil, mining, GIS, construction, survey, data collection, and machine control markets. In Auckland, we saw a demo of working with 3D contours: overburden, elevations, fence diagrams, ground, strata. When Carlson joined the ITC in 2007, in under a year they released their same software that ran with Autodesk® AutoCAD® to run with IntelliCAD too. 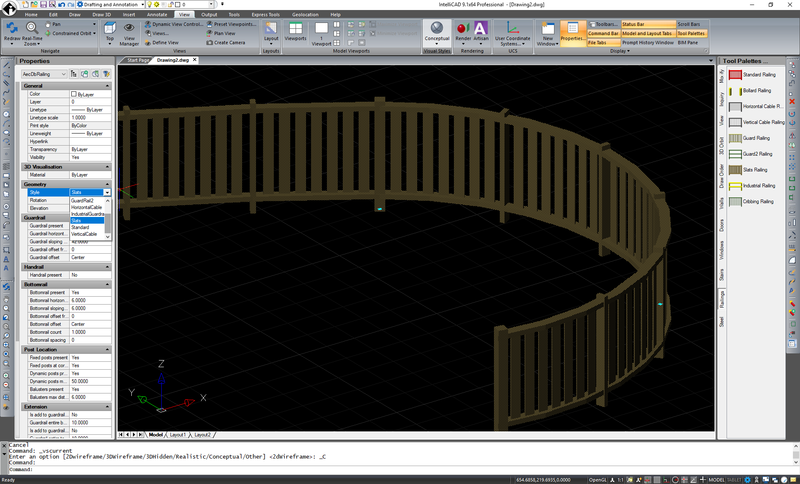 Now Carlson's products come with IntelliCAD built-in at no extra cost, and users decide whether to purchase a seat of AutoCAD. The ability to choose matters. We also learned that Carlson is a big contributor to LandXML, where they contributed a free 3D LandXML viewer and upgrade tools. LandXML is an open data standard used within the land development industry. Open standards also matter. Wrightsoft has also been in the CAD business since the 80s when it started out with no venture capital. Seeing a need back then for better heating, ventilation, and air conditioning design, they continue to deliver HVAC planning, design, sales, and installation software for the desktop and now for tablet and mobile. Wrightsoft has solutions based on their own CAD editor and another line that's based on IntelliCAD, which we saw in action: load meters, diameters and sizes, data extraction, and automatic calculations on-the-go when you change anything in a room or building. And then there's BIM. With Wrightsoft and IntelliCAD, you can auto-trace a BIM .rvt file to automatically generate smart objects and make calculations. It's a great example of what members are doing with the beta version libraries for reading and writing BIM .rvt files. Wrightsoft has also changed the way HVAC gets done. They were an original partner with the Air Conditioning Contractors of America (ACCA) to define HVAC standards that continue to be used today. Market disruption matters. Standards matter. MicroSurvey has been in business for 30 years. They joined the ITC in 2005 and ported their code base to IntelliCAD 6. They build vertical solutions on top of IntelliCAD for survey design and mapping, mining, and the public safety sector. At IntelliCAD World we saw a demo of IMS Map360 that runs with IntelliCAD. It can import data from manual measurements (think tape measures which are still very common), survey equipment, laser scanners, terrestrial (tripods), and cameras mounted on vehicles, drones, and backpacks. Output includes sketches and reports that are often used during court hearings to prove facts. There's heavy use of point clouds (even animated), architectural objects, trajectory rods (cones of uncertainty), and Trimble SketchUp symbols. With all of this technology, the design for public safety products has to be simple and easy to use. Their end-users aren't CAD from the CAD world and shouldn't need to be in order to get all the precision of CAD. Good design matters. FRAMECAD has been in business since 1987 and joined the ITC in 2011. They develop the FRAMECAD System — software and hardware that designs and builds efficient, strong, and durable steel framed buildings. A few days before at the start of the conference, we were at the FRAMECAD site to see a live demo of the IntelliCAD-based software at work. And then the machine was at work, taking in steel and outputting braces for a wall, all within a couple of minutes. Back at the conference, we learned that BIM is really important for FRAMECAD moving forward: reading in drawings that contain all the data they need in a "fast, easy, friendly" way. But it's more than that: BIM has the power to move from planning and drawing in a silo to planning and drawing in collaboration. And collaboration is key from the FRAMECAD perspective to build faster and with fewer mistakes when all the various players show up to the construction site. Collaboration matters. IntelliCAD comes with so many APIs that it was a good idea to review them at the 2017 conference in Auckland. We saw live demos of IntelliCAD sample apps to see what you can do with some of these APIs. The Architecture API has an interface that allows you to extend IntelliCAD quickly to create windows, walls, stairs, and doors without complex coding. 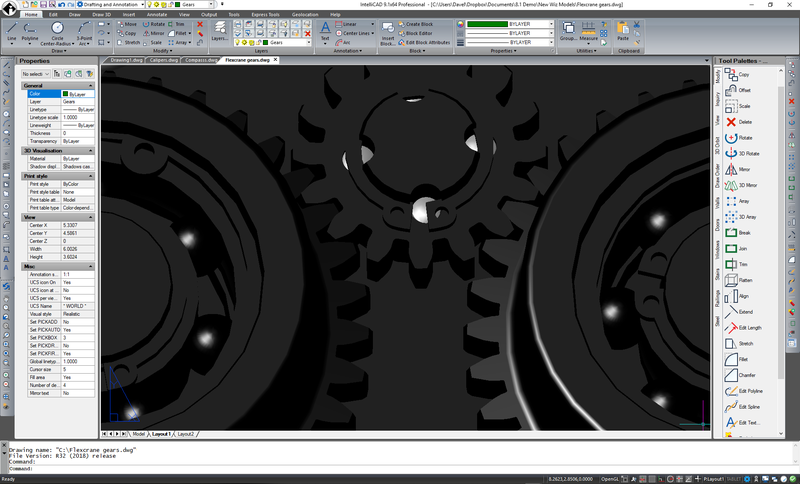 And the Mechanical API, which will be available in IntelliCAD 9, also lets you extend IntelliCAD but to create mechanical objects while instantly providing support for viewing and printing them. Subscribe to this blog for the latest press releases, articles and comentary from the ITC and its members.